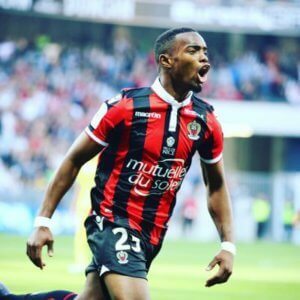 Newcastle are interested in 22 year-old French U21 International creative midfielder Wylan Cyprien, who joined Nice from Lens only last summer. The midfielder has played for all the French youth sides and if Newcastle are promoted back to the Premier League this season then it looks likely he will become a target of manager Rafa Benitez. Sunderland are also reported to be interested in the player, but if the Black Cats are relegated there’s no way they will be able to sign the talented young playmaker. Cyprien was born in the French overseas region of Guadeloupe, in the Lesser Antilles – and he joined Lens in 2008 and came through the Youth system there. The report in the Mediaset outlet is that the two north-east clubs are said to be interested in signing the youngster, so if Sunderland are relegated and Newcastle promoted and if we are really after the midfielder, the odds will be heavily in our favor. Rafa will want to overhaul the Newcastle squad once again this summer if we are promoted and bringing in a creative playmaker who can score goals is one player he will want to sign. The 5ft 11ins tall midfielder has scored 7 goals and had 3 assists in 30 appearances this season for Nice and while at Lens he scored 17 goals and 9 assists in 142 total appearances. Nice are currently 3rd top of the French League on 53 points from 25 games, just 5 points behind leaders Monaco. Two poor pieces of goalkeeping by darlow. First one id expect him to cut that cross out. Second one the less said the better. But we move on. The lad has saved us more than enough times to give him the benefit of the doubt. First goal, i think thats a fould on Lascelles too. As for our goals BAnd th showed touches of class. Perez looked a bit better with room to manoeuvre. Maybe norwich were more focused on shelvey. Dont get the mitro hate. Yes he needs to sharpen up but we do tend to play well when he is in the team. That first chance when ruddy closed him down, fans wouldnt have shouted at gayle for missing that. Looks like there were some nice moments and by all accounts we wouldnt have been begrudged had we won. It does feel a bit like 2 points dropped due to silly goalkeeping but in context a point away against the in form team isnt too bad. Being honest i was not very confident before the game after the poor wlves showing. @1, every keeper is entitled to one howler a season, lets hope that’s the only one from Darlow. Other than last night he has been Mr Reliable personified. Missed chances, but that happens. On another day they go in. For each of their goals we are sitting very deep. Were they rattled by Jerome re pace etc ? After Wolves the talk was all about what a great defensive display. A lot of it from our players. Wish they would just get on with it. We did not play well against Wolves. Wylan Cayprien…..for anyone who maybe interested. Good comeback performance in the second half yesterday. It’s a pity we only seem to turn on that sort of show when we are chasing the game. If we are ahead, the tendency is to park the bus. On Mitro, for me he’s not a natural goal scorer. He’s young, but not that young. Rashford at Man.U and Jesus at Man City are a lot younger, but are more natural scorers. I think Murphy is a better bet than Mitro, but what do I know ? Naturally it’d be nice to be romping away with the league by 10-15 points, nice and comfortable, but it doesn’t often happen like that. Stick with the lads, we are doing well and I fully believe we will be there at the end. Rafa to keep his cool and steer the steady course. If two of the chasers get 7 more points than us between now and the end fair play to them, it would be some feat but it’s very slim odds IMO. Wouldn’t you rather be us than any of the others right now? Two tricky away games and we’ve come away with 4 points. I’ll take that. I was at the game last night and although I’m no Mitro hater by any stretch of the imagination…he was absolutely sh!te last night. His work rate off the ball was non existent…he jumped for the ball not to win it but to win a free kick, we could have had the game won if he’d converted those guilt edged chances in the first half…and his general play was p!ss poor. Not a good night which then begs the question…why on 15 mins for Gayle….we could have easy won that game Gayle up top the way we controlled the 2nd half. Gerome was a beast all night…their MOM by a country mile…lascelles went down far too soft…he wasn’t great all night but scored a good goal to be fair. When Diame came on I thought he comes the beast…we’ll do ’em now…but he put him to sit in front of our back four which to be fair changed the game and we no longer at risk like we were in the first half so credit to Rafa for that…just wish he brought on gale earlier. Looking at the highlights it’s hard not to think we need to be more clinical in front of goal. We’re creating chances which is the most important thing but if we took more of our chances we’d be putting teams to bed much sooner and avoiding the panic that sets in with the players in the latter stages of games. Hopefully that will come now Gayle is back in the squad. We have missed his goals but with our run-in I’d hope he can find his form straightaway and Rafa can get back to playing how he really wants. Then, in the final stages of matches we’re looking to close out you bring on Mitro to frustrate the opposition and hold the ball up. Cheers for the report on the game being there…. On Clark and Lascelles at the back I have been saying for weeks they play to far apart which leaves a gap through the middle for the opposition to attack or we have to drop Shelvey or Diame into that position to fill the hole – missing Anita to fill the hole. Who was that team in the Black ‘n’ White stripes. Best they have played for a long time sounds like listening to the radio – just watched highlights – passed moved at speed had umpteen chances hit woodwork twice. Play like that for the next 15 games then no problem going up – but everyone knows the TOON. Their goals: yes Darlow made a hash – but Lascalles should take a lot of blame. First goal he was in great position to clear the ball then out-muscled. Then second again in a great position should of got head to the ball but again got out-muscled – mind you jerome nudged/blocked Lascalles in going for the balll and if you go back to the Wolves game didn’t Mitro get booked for doing the same. Looked like Ritchie was back to his best. Mind you next month going to be tough!!! The replays of their second goal that I’ve seen aren’t conclusive by any means and sky said he slipped,but Lascelles looked in control of the situation then went down as if he was fouled from behind. Did you have a good view of it mate? Think we had 20 shots last night which suggests our approach play was fluid and only the posts and some poor misses ( Shelvey at the end ) prevented us scoring more. Perez feeding Gayle looks like a good way forward. While we all know about Rafa’s rotation of players maybe Hanley would have physically coped better with Jerome to prevent their first goal. Then again credit to Lascalles for his strike . Most of the chasing lack last night got points off much lower and poorer teams so on balance could have been worse but should have been better. Just need to put some convincing wins together and establish a 12 point plus lead at the top as the season progresses the chance for others to make up ground diminishes. Not for me mate…Jerome was just strong and laselles was a bit ponderous for me…With Lascelles it’s a bit like he thinks he’s better than he is…he’s got this superior air about him but last night his game was full of bad touches, bad decisions and he let Jerome get the better of him on quite a few occasions. Nothing wrong with either of the Norwich Goals last night and Lascelles was at fault for both of them IMO. Charlie…we were only good in the 2nd half…first half (although we created some decent chances), they were all against the run of play after we scored the first. The game only changed in our favour when Diame came on. Ritchie was in bad mood all night…I’m surprised he didn’t tw@t someone last night…we were awful after the scored the early goal and nothing was working because of sloppy passing and bad communication. Yedlin was good again in patches but their left back was a beast and caused him quite a few problems. Yedlin always good going forward but a little bit suspect defending. chances galore for sure. even though we were poor in the first half we had the better chances and should have been out of sight but two mistakes and two goals later we’re on the back foot. Fair enough sparky, I just couldn’t see how or why Jamaal goes down in that situation unless either he tripped over his own feet or Jerome clipped his heels. Maybe it is time to get Hanley in alongside Clarke and give Lascelles a breather for a few. Brighton are faltering, psychological pressure is heaping on them with their history of tailing off from now or hereabouts. Next week Hudd play Reading, someone will drop points there 🙂 hopefully Hudd! We need our home crowd to continue the good work from the last game to push the lads on to victory against the Villa tosspots. I have a sneaky suspicion Hanley will be in the team next week with Lascelles ‘rested’. Villa on a bad run…but as we all know we bring out the best in Villa every time…that will not be an easy game and we will have to take our chances to beat them. 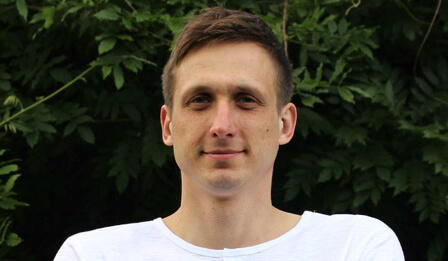 cheers – need supporters like you who go to away games to do a blog report. And from commentary last night too! Seems Aston Villa, Forest and Wolves now – the yam yams are worse than cockneys! I did predict a hat-trick for Mitro – just forgot to add ‘of misses’……….. Woo hoo. Gangnam style. Love it. Just love it. Wish I’d been a fly on the wall. What did you do when Lascelles equalised? I went to bed at 2-1 down. Checked Ed’s dodgy low battery footage this morning. It looked like Lascelles had his legs clipped. Surely Lascelles did everything right when Darlow miskicked? Seems harsh to blame him for that one but I only saw a brief clip where he held the forward off to give Darlow a clear run. Your assessment of Mitro was exactly what I saw at the last home game. Lazy, ponderous, wins too few balls for a “big man” if that’s what he is. Old Blackas has a good ST at Huddersfield in line with the penalty spot (furthest from away end). If we score, I won’t be doing gangnam style for sure. I imagine it’ll be like trying to hold in a sneeze. Never here much about Gouffran, last night Trevor Brooking was saying he would have been subbed for Gayle as the player to be less missed. Perhaps it is time to rethink the left wing? Is ‘turtle’ control when we are not quiet sh#tting on them?! What about Wilshire as potential target for summer..